Miami Riches Real Estate Blog: Rents increasing in Brickell and Downtown - But how much? Rents increasing in Brickell and Downtown - But how much? I have noticed in the past couple of years that rents have increased in Brickell and Downtown in general. As a matter of fact, the Miami Herald had an article this week stating that rentals and sales prices have gone up in Brickell and Downtown in the past year. In some buildings rents have increased more than others. So, I decided to check the MLS and compare prices of rented units in July 2011 against prices in July 2012. I took into consideration the buildings that have the most activity so I could show reliable data when calculating average prices. The buildings I considered were: Plaza on Brickell, Icon Brickell, 500 Brickell, The Club at Brickell Bay, 1060 Brickell, Mint and Ivy. We definitely see a clear trend here. The average increase in Brickell rentals was 7.5%. The biggest increase was in Mint and Ivy. There are many factors contributing to this increase in rental prices, but the one I hear the most from renters is that it is really hard these days to get a mortgage so they have no other option than renting. Developers have noticed this trend and they are starting new pre-construction projects to add inventory to try to stabilize the market. In the past six months the following new buildings have been announced in Brickell and Downtown: Icon Bay, Millecento, My Brickell and Brickell House. My Brickell was the first one to break ground, construction started a couple of months ago right next to 500 Brickell. 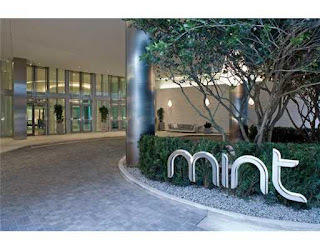 Another interesting milestone in the history of Miami real estate.